Refinery 29 covers IBE’s debut in London. “From Beauty Pie and Lixir to The Ordinary and Niod, when it comes to great beauty brands, we’re already spoilt for choice here in the UK. 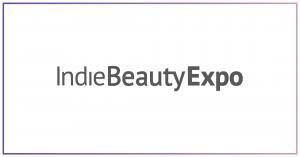 But you might want to push your holy grail products to one side and make a little more room atop your bathroom shelf, because the Indie Beauty Expo has just brought an avalanche of shiny new launches. Click here to see the brands they checked out.